Generally speaking, a "common law marriage" is a type of marriage where a couple becomes legally married without participating in a lawful ceremony by living together for a long period of time, intending to be married, and holding themselves out to others as married. A common law marriage cannot be created in Maryland. A couple cannot acquire marital rights and responsibilities by living together for a particular period of time or holding themselves out as spouses. Legal action is not required to dissolve such a relationship. However, Maryland does recognize as valid, common law marriages created outside of Maryland if the legal requirements of the other jurisdiction have been met. As a result, legal action is necessary to dissolve a legal “common law” marriage created in another state or foreign country in compliance with their licensing and ceremonial regulations. 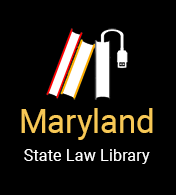 Maryland courts can and will grant divorces to and determine the rights of “common law” married parties now living in Maryland. A couple believing themselves to have a common law marriage may be required to prove that their marriage is valid. This is likely to arise in a divorce or upon the death of either spouse to claim an inheritance, survivor benefits from retirement, or social security. Determining whether you have a valid common law marriage can be complex, and you should consult with an attorney. Which states recognize common law marriages? Only a few U.S. jurisdictions allow the creation of common law marriages. These include Alabama, Colorado, the District of Columbia, Iowa, Kansas, Montana, Rhode Island, South Carolina, Texas, and Utah. Some states, such as Georgia, Idaho, Ohio, and Pennsylvania, only allow common law marriages formed before a certain date. New Hampshire only recognizes common law marriages for inheritance purposes. Utah only recognizes common law marriages after they are validated by a court or administrative order.